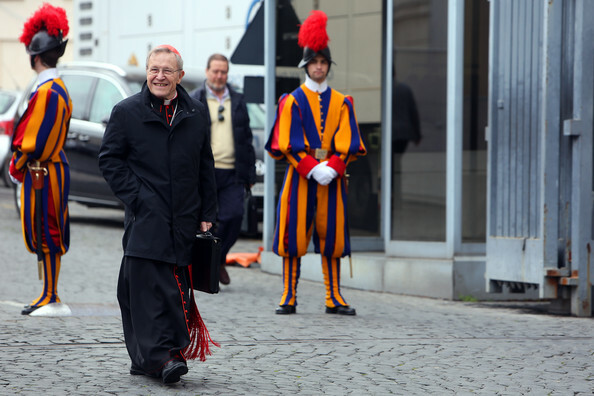 There has been much angst recently about an interview given by retired German Cardinal Walter Kasper, a distinguished theologian who has emerged as Pope Francis’ go-to theologian and éminence grise. He gave an opening address at the recent consistory of cardinals (read more about it here) , and was even the first theologian the pope referenced after his election a year ago. So, what’s the buzz about this latest interview? Why all the agita? “It’s not about something new as much as a renewal of church practice, which is always necessary and possible,” he said. The backlash in some quarters against the cardinal’s suggestions has been as passionate as those who have taken comfort in his words. Some have misinterpreted (deliberately so, perhaps, since his words seem completely clear and nuanced) his remarks as calling for a change in church teaching, and this is certainly not what he is suggesting. He is echoing Pope St. John XXIII who reminded the bishops of the world at the opening of the Second Vatican Council that religious truth is one thing; the way that truth is expressed is quite another. Let’s see if we can pull some of this together. 1) Matrimony is a sacrament of the Church, and considered as such by Catholics, Orthodox and some other Christian traditions. This means that marriage is a sacred state in which people encounter Christ is a specially graced way with each other and the ecclesial community. It is an sacrament “at the service of communion” in which salvation is worked out in communion with another. 2) Christ talked about marriage, and based on this teaching, his disciples quickly accepted the notion of the indissolubility of a sacramental marriage, a complete gift of a man and a woman for the whole of life. 3) The Church’s sacramental understanding of matrimony, however, has been reflected in a wide variety of cultural and legal systems. I readily admit that I am not any kind of a lawyer, and I will not attempt to render any kind of legal judgment, and I’m eager for qualified, competent legal expertise to continue this conversation! My point here is simple: legal procedures within the church are built upon theological and sacramental foundations, and they can take various forms. 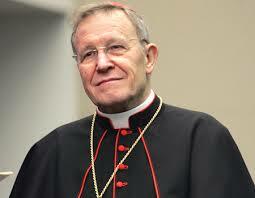 4) The Church has also accepted, over the centuries, that not all marriages look alike. For example, older couples often marry, long past the time when they might have their own biological children, but even knowing this, the church welcomes and sacramentalizes their union, giving a broad and generous understanding of the procreative nature of that marriage. In other cases, couples are simply unable to have children, and yet that does not cast doubt on the validity of their marriage. Also the Church accepts that some marriages fail, and there have been different ways of dealing with this reality. Why? Because different legal systems, different cultural expressions, have resulted in a variety of approaches and processes. Put another way: our current system of diocesan marriage tribunals, levels of courts (“first instance,” “second instance” and so on), court officials (“defender of the bond”, “procurator advocate”, etc.) is only the most recent way of structuring part of our response to those who have divorced and now wish to be free to marry again. In short, while the teaching of the Church on marriage has not significantly changed, the external procedures on dealing with the pastoral issues involved have changed and evolved in the past and could so again. 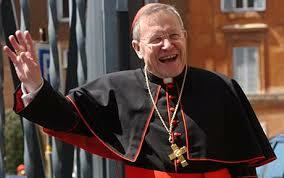 Claims that somehow Cardinal Kasper’s theology is “flawed” or that he is “dangerous” in his attempt to recast Catholic theology of marriage and family are completely misplaced, and misunderstand and distort what he is saying. The teaching is one thing; how that teaching is expressed and lived can and sometimes must change. Those whose marriages fail must deal with many issues, none of them pleasant. It is a time when, more than ever, the presence, support, pastoral care and love of pastoral ministers and parishioners is needed. And, should love again flower in their lives and the hope of a new life, there should be a way to minister to that reality as well. 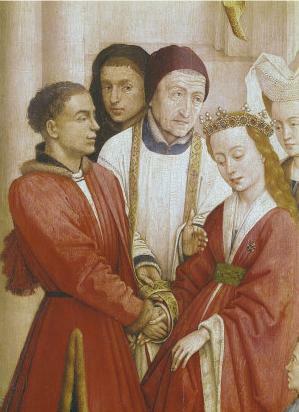 Typically, since the emergence of canon law as a field of study in the 12th Century, the Church has frequently sought the assistance of external tribunals to discern the sacramental state of a marriage. (I’d be curious to hear how extensive this was, however, in the lives of most Christians; it would seem that this would have been something more available to the nobility perhaps, but not to the poor). A rather complex process of tribunal procedure has developed over the centuries, involving different levels of courts, appellate procedures, and so on. It is a formal, visible exercise of the external forum. And then there is the internal forum: the forum at the level of individual conscience. Appeals can be made to this forum when external situations are lacking: a lack of documentation, for example, or other reasons. Clearly the use of the “internal forum solution” is avoided except in extreme cases. But how about something like this? Why wouldn’t something like this work? Imagine a Catholic parishioner who is divorced. She was divorced years before when she and her former husband were very young and the marriage failed for a variety of reasons, including physical and emotional violence on the part of her former husband. Now, years later, she has met another man and they have fallen in love. They would love to marry in the church and form a new family. She approaches her parish deacon who interviews her about her former marriage and her current situation. The deacon and the pastor review the case, following diocesan norms, and the pastor determines that the first marriage was null and refers the case to the diocesan tribunal for review and concurrence. The diocesan Judicial Vicar reviews the acts of the case as submitted by the pastor and affirms the declaration of nullity and so informs the pastor and the young woman; she is free to marry. That’s it. The court of “first instance” would be at the level of the parish, following norms and procedures provided by the diocesan bishop as the Chief Judge of the diocese. The court of “second instance” would be the review by the Judicial Vicar on behalf of the diocesan bishop. No change of teaching, but simply a greater acceptance of the rights and obligations of the individuals under conscience, who then work with their local pastoral ministers to determine their freedom and readiness for marriage. This approach could also work for people who have divorced and already re-married civilly. The matters could be handled between parishioner and parish pastoral leaders. Given what the church already teaches about the role of conscience in the life of the faithful, this approach offers, in my opinion, considerable respect for that teaching on the primacy of conscience as well as an exercise of legitimate subsidiarity in the processes involved. Why couldn’t we start there?